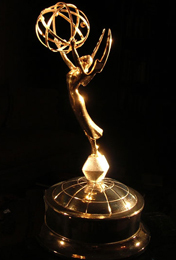 Teddy: In His Own Words – Winner 2010 Primetime EMMY Award–!!! After being nominated for Outstanding Nonfiction Special and Outstanding Sound Editing for Nonfiction Programming Emmys, the HBO Original Documentary, Teddy: in His Own Words (with original music by Michael Bacon) won the 2010 Primetime Emmy Award for Outstanding Nonfiction Special! Congratulations to all involved, especially Kunhardt McGee and HBO!